Chronic illness rates have reached all-time highs and is expected to continue to grow in America. 6 in 10 adults in the US have a chronic disease, and treatment costs $3.3 trillion annually. Chronic illness demands higher responsibility on patients than other types of disease as it demands higher responsibility to control on a daily basis. Despite the importance of daily management, only 50% properly adhere to medication properly. This imposes serious public health concerns due to higher chance or resistance built against the drug, ultimately contributing to greater mortality and hospital enrollment rates. In addition, with the nature of chronic illness, patients must consistently take their medication. 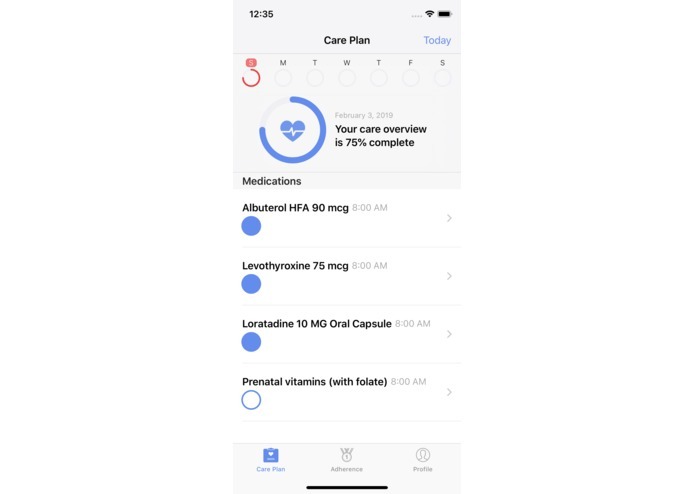 MedStreak is an iOS application that enables and empowers chronic disease patients to stick to their medication goals. 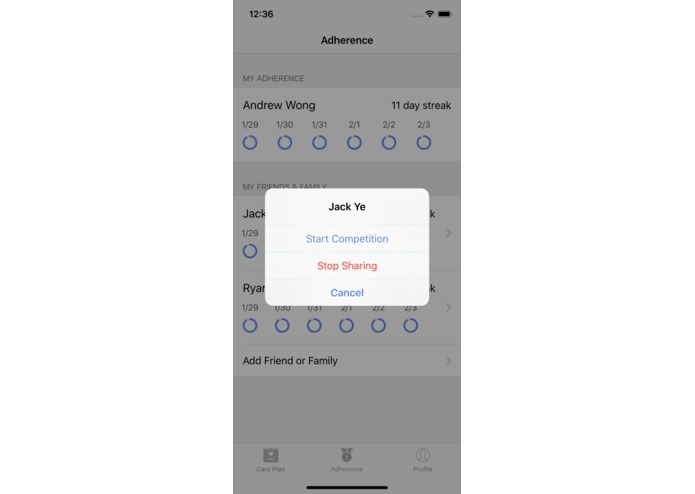 Patients are incentivized to maintain a personal drug streak with themselves, as well as participate in a social network determined by the physicians on a number of metrics. We partner with insurance companies to lower medication copay for patients who maintain higher streaks. 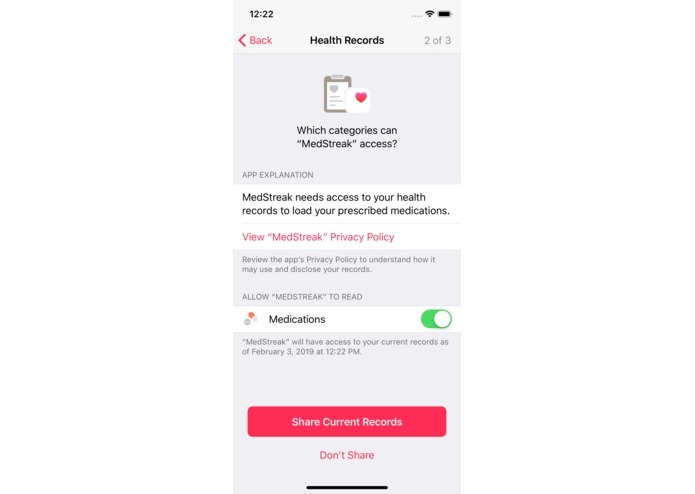 This is mutually beneficial for both insurance company and patient, as streaks lower insurance risk and hospital readmission fees, and patients can pay less for their medication. 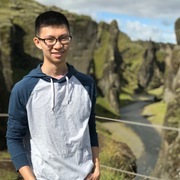 We used Flask to build a REST API for the User Auth, Medication Adherence, Social Network, and Event features on client side, and our database is hosted on MongoDB Atlas. 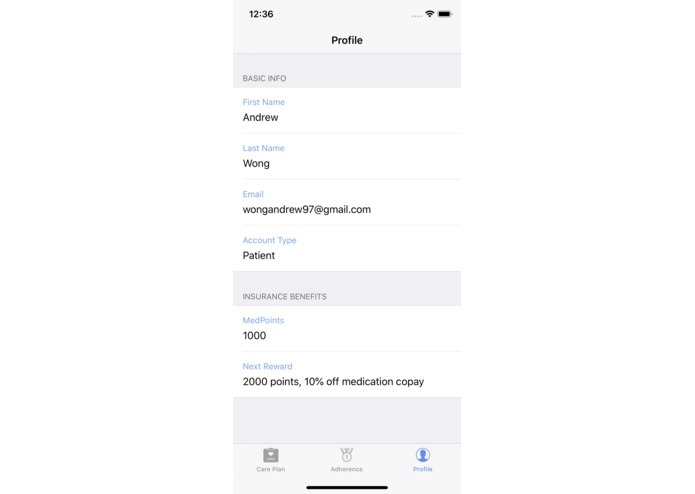 The iOS client side is written in Swift and calls the API for each of the different use cases. 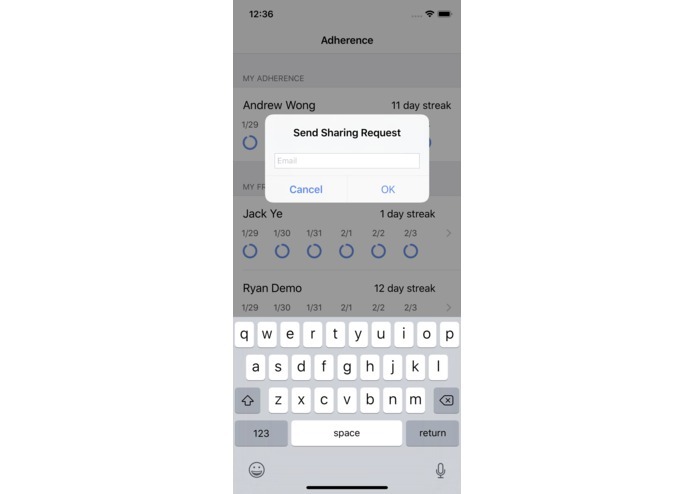 iOS persistence is managed by Apple's open source CareKit framework and utilizes Apple's HealthKit Health Records API to pull from live production Electronic Health Records to fill in medications. The app architecture uses MVVM to separate networking, data, views, and view controllers in a modular way. This allowed to practice on test data effectively and switch out implementations very easily. We spent the most time researching the problem context, since this is an unsolved issue in public health. Other challenges we ran into were setting up development boilerplate and ensuring every team member adhered to best practices. 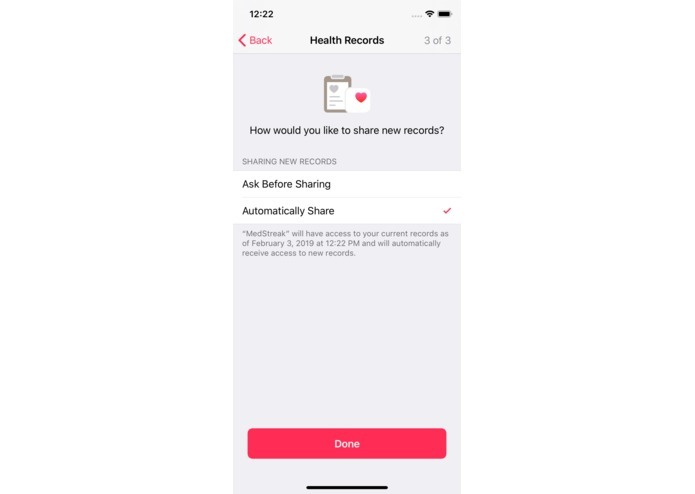 The health track gave us an opportunity to collaborate with people who had expertise outside of Computer Science. 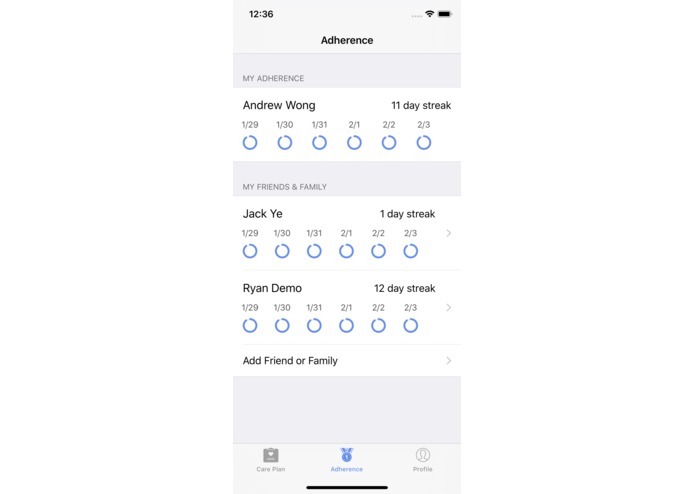 We were excited to use Apple's production health records in our application and are proud that this may be a feasible solution to chronic disease medication adherence! Before this event, we did not know how much of a support system only a daily basis is required for patients with chronic disease. 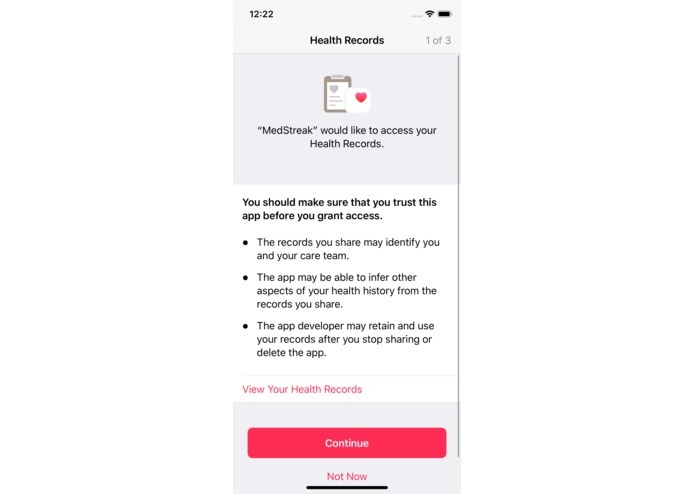 We were happy to be able to write a fully functional backend and iOS application using Apple CareKit and HealthKit records in 24 hours that addressed this public health issue.